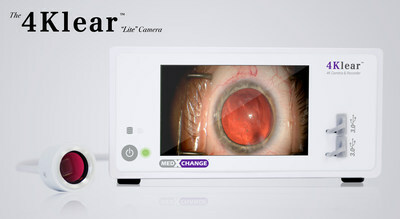 BRADENTON, Fla., April 10, 2019 /PRNewswire/ — Med X Change, Inc. is launching the 4Klear “Lite” camera only version just 6 months after the 4Klear 4K Camera & 4K Recorder All-in-One was launched late 2018. The 4Klear “Lite is a native 4K camera but can also be upgraded to all the 4K recording features with a simple software activation without any hardware changes. In addition to the 4Klear camera, Med X Change will be promoting its Evolution4K Medical Video Recorder platform, the MDSS (Content Management System) for HD and 4K medical imaging content along with our Universal Interface Engine (“UIE“), which is a software package for HL7 integration of hospital’s EMR (i.e. Epic, Cerner), PACS & VNA systems. A software package designed to be a secure central location/archive for surgical video and images for local or remote access by medical professionals and authorized users. SOURCE Med X Change, Inc.